Today Apple unveiled their latest iPhone, and as months and months of rumors have prepped us for, they come in two new sizes, both larger than any previous iPhone. 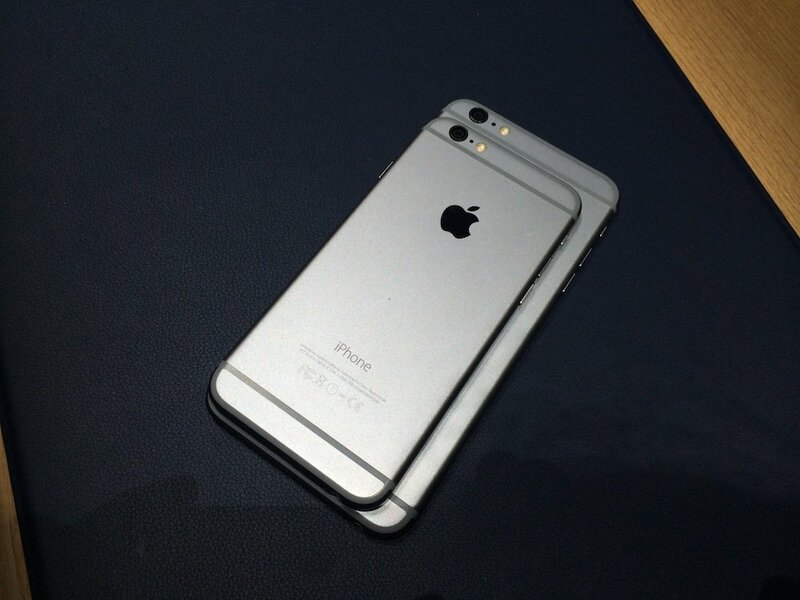 There is the regular iPhone 6 which clocks in at a 4.7-inch screen, and the iPhone 6 Plus which has a whopping 5.5-inch screen. 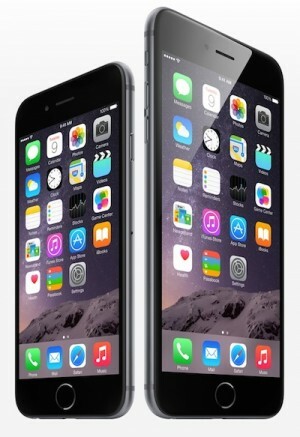 Now, I say whopping because the iPhone 6 Plus is definitely very large, and enters into “phablet" territory. However, my big take away from my hands-on time with both new phones is that it’s manageably large, and the big screen really is amazing for watching videos, reading text, checking out photos and of course for gaming. And, if you’re not a fan of the super-sized version of the iPhone, the regular 4.7-inch iPhone 6 is also quite a bit larger without feeling too much larger than the current 4-inch iPhone 5s. 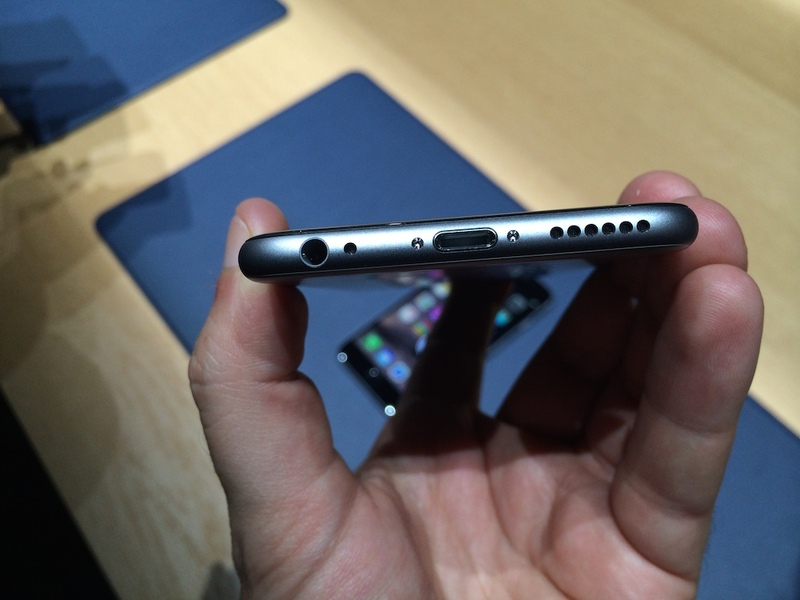 First off is the feel of the new iPhones. It happens pretty much every year when a new iPhone is unveiled, but upon picking it up for the first time it’s almost unbelievable how light the new iPhone 6 is. It’s also thinner than the current iPhone, and this is immediately noticeable, especially with the curved outside edge of the new models. 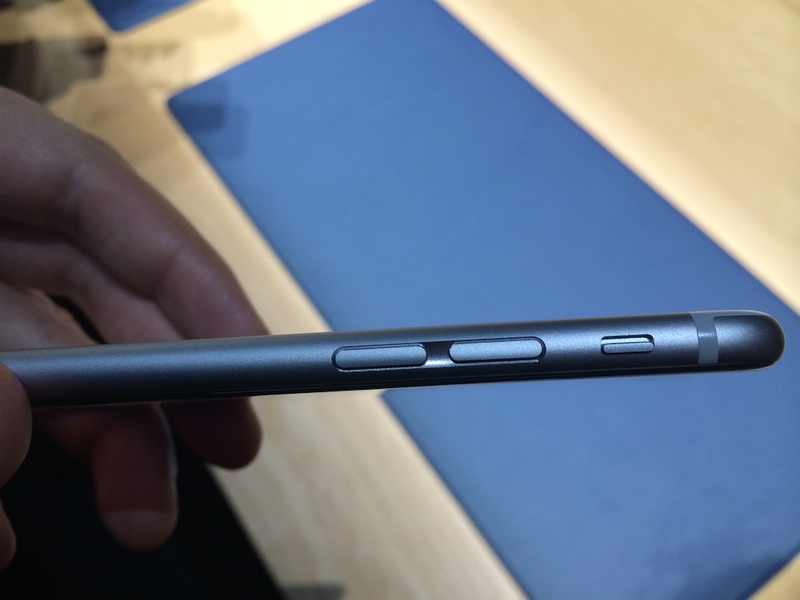 The 4.7-inch fits easily in my jeans pocket (yes, they encouraged us to test them out in our pockets! ), and due to the thinness and lightness it actually feels less bulky in my pocket than the current iPhone does, which already doesn’t feel too bulky. 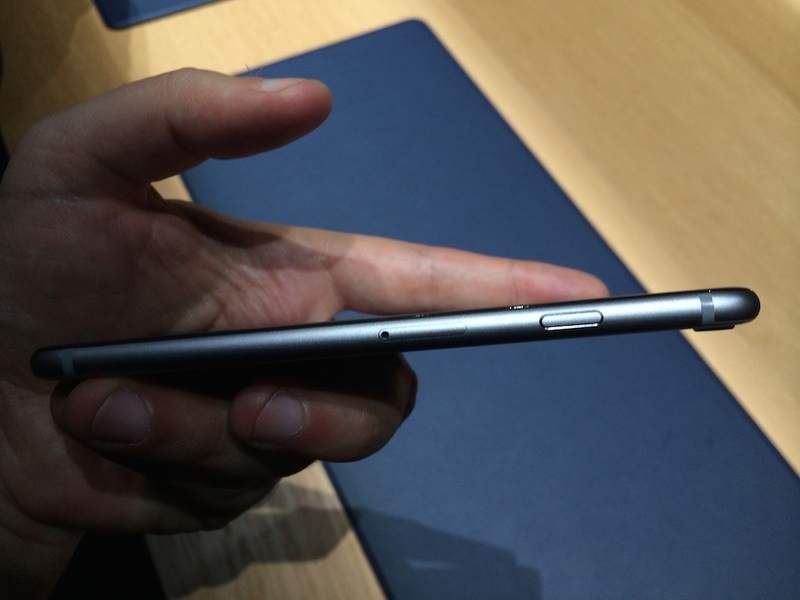 Amazingly, the 5.5-inch iPhone 6 Plus fits pretty well in my pocket too. I mean, I don’t rock skinny jeans or anything, but I was very surprised with how little I noticed that the bigger iPhone was in my pocket. Your mileage may vary. Here is a brief hands-on video of the two new iPhones, including a little bit of gameplay footage of Tiny Wings running on the new device. Besides the physical feel of the hardware, the new “Retina Display HD" screens look absolutely incredible in person. I initially walked up to the demo table and was disappointed because I was positive the phones were non-working dummy units, and the screen was just printed on. Not so! It was the real screen, it just looked so damn sharp I would have bet money it was fake. Even after that initial shock, walking around the demo area and grabbing one of the new phones every time I had a chance, I still kept getting that feeling that the screen couldn’t possibly be real. But it is. We already detailed all the new technical specifications of the new devices, but in practice the new screens really make things like the improved camera and especially the HD video totally pop. The video that the new iPhone can take is just unreal. Constantly in focus, razor sharp, vibrant. Again, watching video also gave me that strange feeling that it must be fake because it just looked too good. I absolutely cannot wait to get one of these new iPhones for myself and begin taking my own videos and snapshots. Another cool thing about the new iPhones is that even though they both have larger screens than the current models, all apps will run on them in full screen. They are upscaled so there is a slight blurriness to some apps, but by and large you really can’t tell. For a comparison, do you remember when the iPhone 4’s Retina Display came out? Apps and games not optimized for it worked, but looked pretty fuzzy. I’d estimate that apps running on the new iPhone 6 screens don’t even look 5% as fuzzy as those unoptimized apps did on an iPhone 4. You most likely won’t even notice, but then again when apps and games come out specifically optimized for the higher resolution iPhone 6 screens, you’ll definitely notice. I’m just happy that everything will “just work" and won’t need specific updates, as was the case when Apple moved to a 4-inch screen with the iPhone 5. Those are the major impressions I had from the new iPhones, but there are a few smaller details I want to touch on. First, apps can now work in landscape orientation on the iPhone, similar to how they work on the iPad. You can even flip the screen completely upside down, with the Home button facing upwards but the screen oriented correctly, if you wanted to for whatever reason. Also, the volume buttons have been redesigned and are now oblong buttons as opposed to circles, similar to the iPod touch. The power button has been moved from the top of the device to the side opposite the volume buttons, and that will definitely take some getting used to. It makes sense though, as the devices are larger and reaching that button on the top might be a bit too difficult for many people. Related to that, there is now a system-wide feature in the new iPhones called Reachability. This means that with a quick double-touch of the Home button (a double-touch, not a double-click, which still brings up multitasking like normal), the top of the screen kind of slides down about halfway down the screen and makes the upper corner available to your thumb when holding the phone with just one hand. When Apple announced this during the live event, I let out an audible groan, as that seemed like a cheesy way out of the problem of making your flagship device too large for reasonable one-handed use. However, in use, the Reachability works just as advertised and doesn’t feel cheesy at all. Like double-clicking the Home button for multitasking, swiping the edge of the screen to access Notification Center, or unlocking your phone with Touch I’d, the quick double-touch to access Reachability will be one of those things that becomes second nature, something you quickly get used to and don’t even think about. 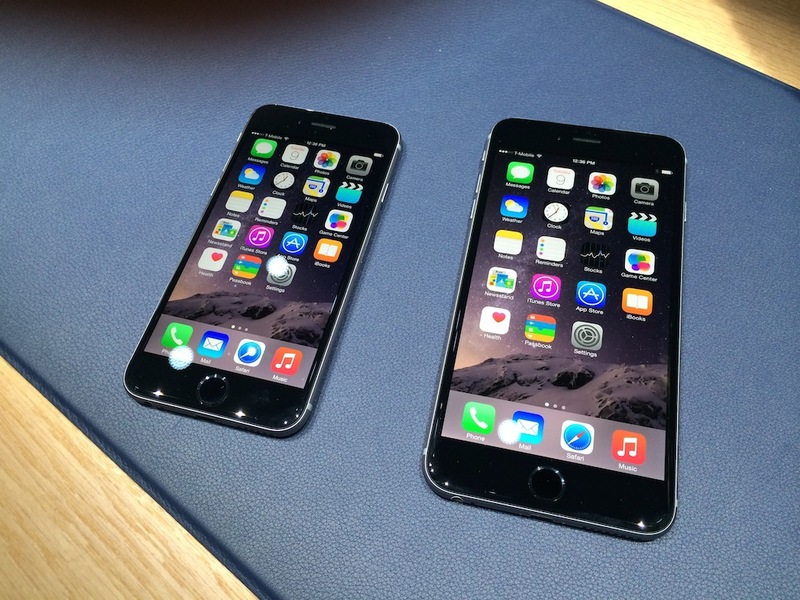 So the question you might be wondering is: Which new iPhone should you get? Well, personally, I’ve never wanted a larger iPhone than the current 4-inch model. I just wasn’t interested at all. 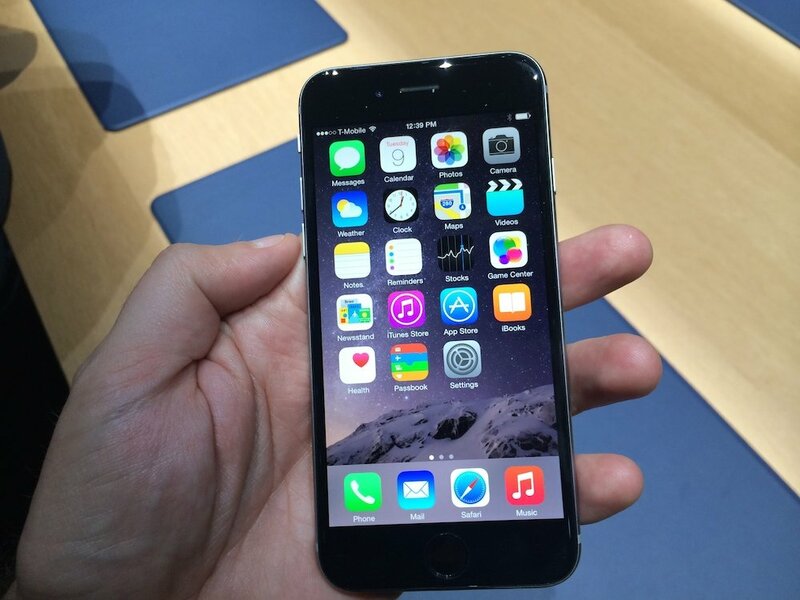 However, holding the 4.7-inch iPhone 6 in my hands, I’ve now done a complete 180. The larger screen is much nicer for reading text and viewing media, and the phone doesn’t feel significantly larger than the current iPhone. 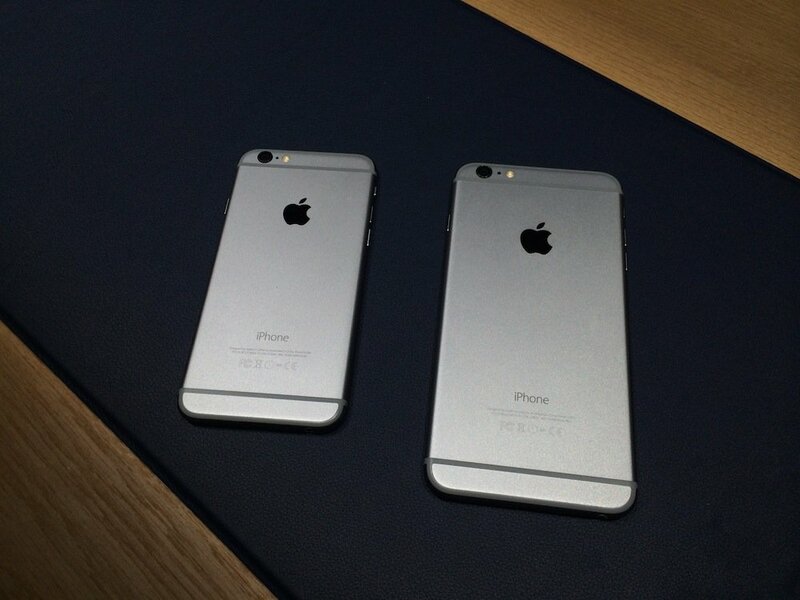 If you want a new iPhone but also weren’t interested in a bigger iPhone, the normal iPhone 6 will likely be for you. It’s what I’m going to get. On the flip side, the 5.5-inch iPhone 6 Plus definitely does feel much larger than the current iPhone, but again, I was really blown away by how manageable it was. 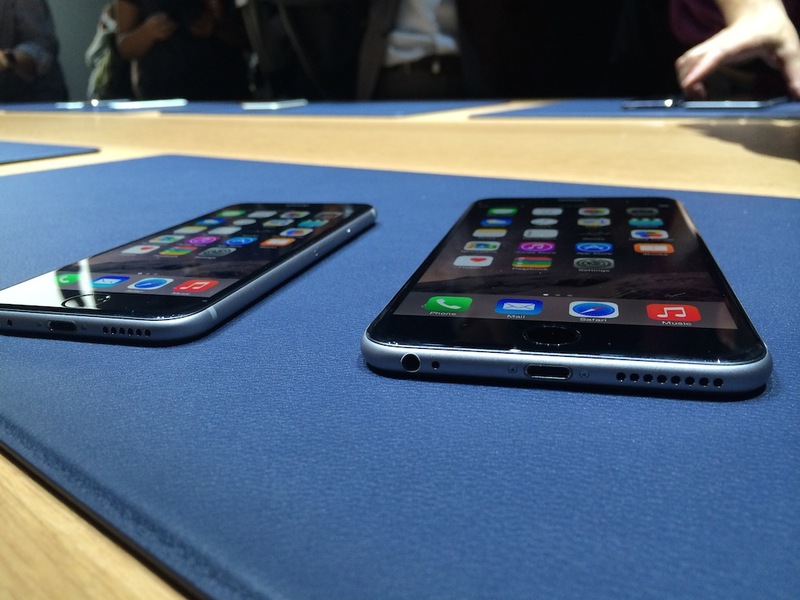 If you are dying for a super big phone, and don’t already have a smaller sized tablet like the iPad mini, the iPhone 6 Plus will suit you well. Its larger size is fantastic for consuming media, and I imagine will be really cool to play games on too.